I don't know about you all, but tomorrow's impending holiday has me feeling the desire to bust out all my red, blues and sparkles that usually hang out in the back of my closet. 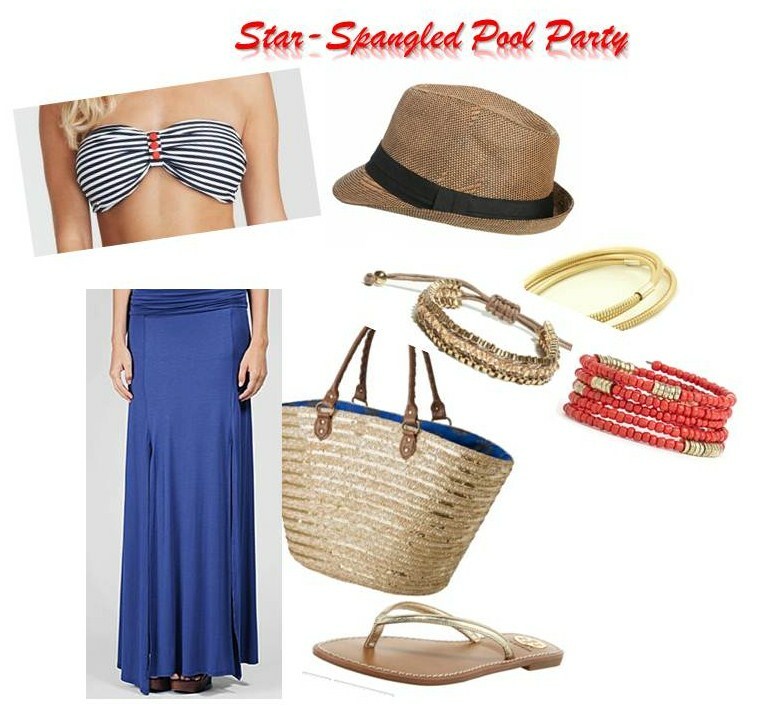 Whether you're barbecuing, watching fireworks explode over the city, or hitting the pool, it's easy to show your July 4th style! I'm so excited too! Def going to bust out some red, white or blue!! Love all the outfits you picked that I just can't pick one! Have the best time celebrating! love the first outfit and want to own it! hope you have a great 4th! I know we've already established this, but it is so obvious we have the same taste in just about everything. I love, love all those songs and the Emily outfit is my favorite! I love the striped bikini too. I hope you have a fabulous fourth!! Love you! Love that blouse in the first pic and the Essie color! Hope you have a spectacular 4th! i need every single ones of these outfits, thanks! happy 4th, friend! I'm going to see Miranda Lambert tonight so this post has me even more excited for country music and cowboy boots!!! Very cute outfit picks! ill be busting out my favorite red neck american flag bikini. no better place to show it off than while Shootin' the Hooch! Love that first outfit. And Springsteen and Barefoot Blue Jean Night are some of my fave summer songs.